In a classic shade of navy this sensational double face coat from Persona by Marina Rinaldi will inject your wardrobe with style and class. Made from a sumptuous wool blend it's deliciously tactile and soft to the touch. 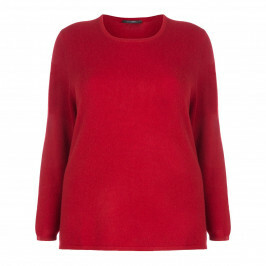 With front pockets and an unusual notch collar it's perfect piece to team with reds and whites. 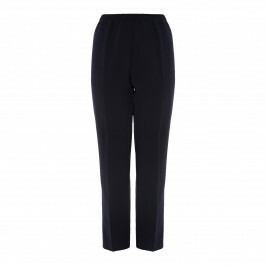 Hand sewn, from the House of Max Mara you can rest assured that it's beautifully tailored. A must-have! Navy notch collar coat with pockets. 50% wool, 43% polyester, 7% other fibers. Lining 100% polyester. Dry clean only.Do not tumble dry.